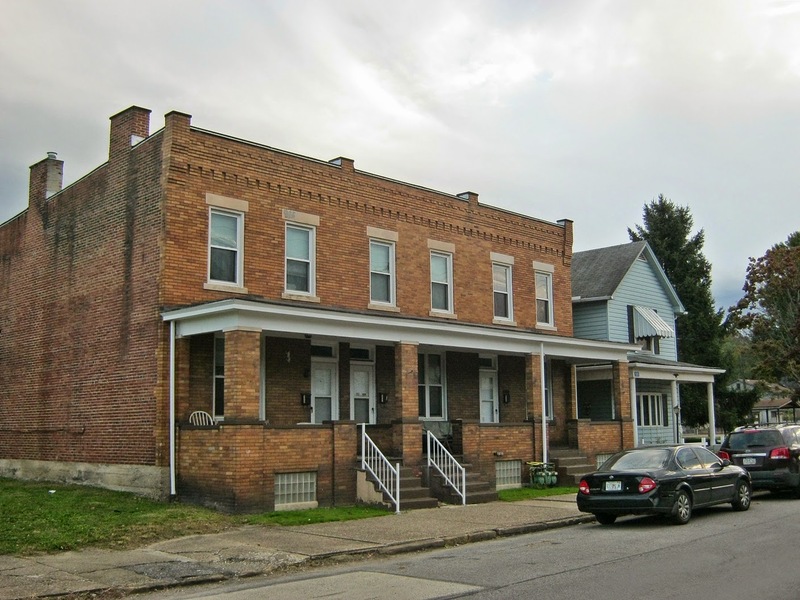 The Young Preservationists Association has selected their yearly #YPAtop10 Preservation Opportunities, and among them is historic McKean Avenue in Donora's downtown business district. 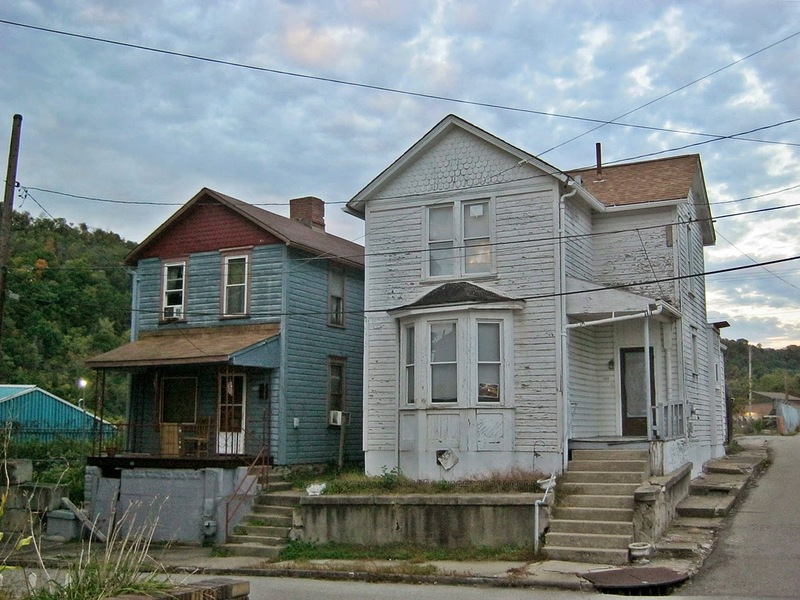 Like much of the Mon Valley, and many older rust belt cities and river towns, Donora has seen decline due to regional deindustrialization, suburbanization, and other economic and social conditions. 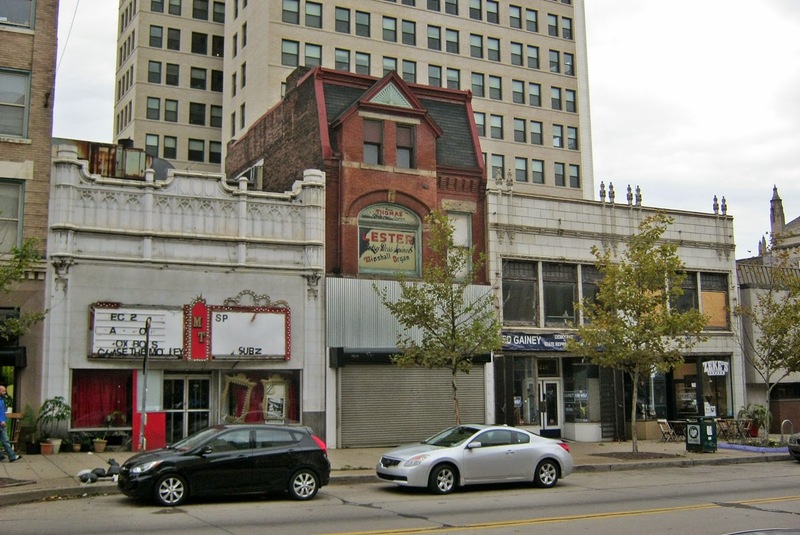 This leaves many beautiful antique buildings, and a functional and walkable business district, at significant risk for deterioration and demolition. 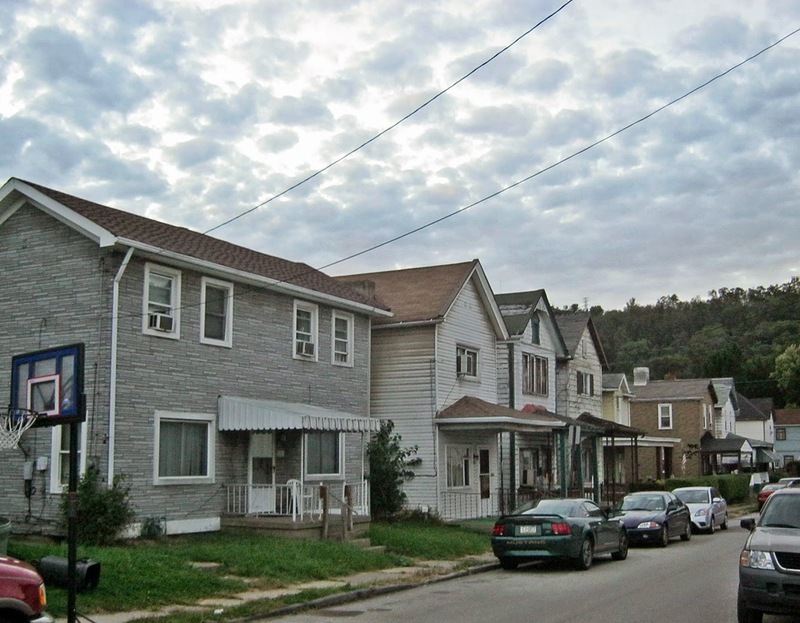 Certainly, it would be more interesting to live in a real town like Donora, than a cul-de-sac in Sprawlville, or maybe I'm crazy. 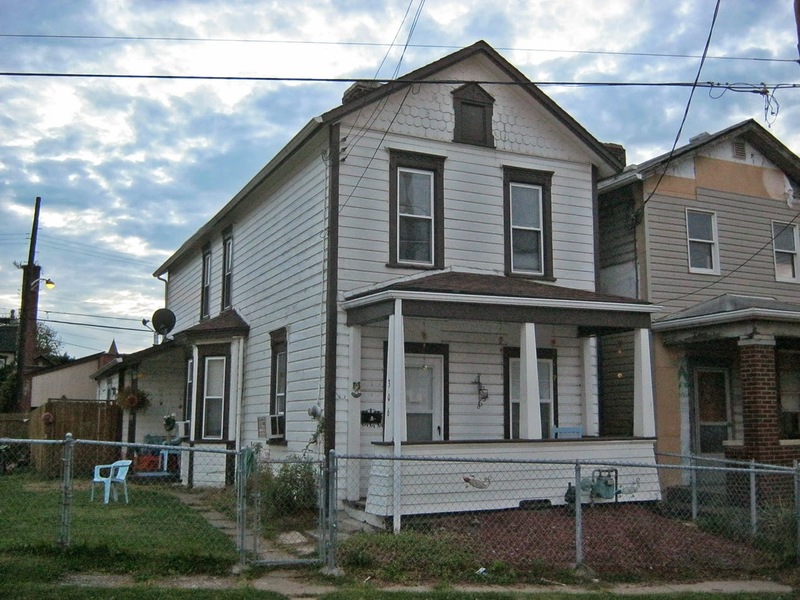 Here I have taken some effort to photograph what appear to be the earliest surviving houses from the lower 10th Ward of McKeesport, Pennsylvania. 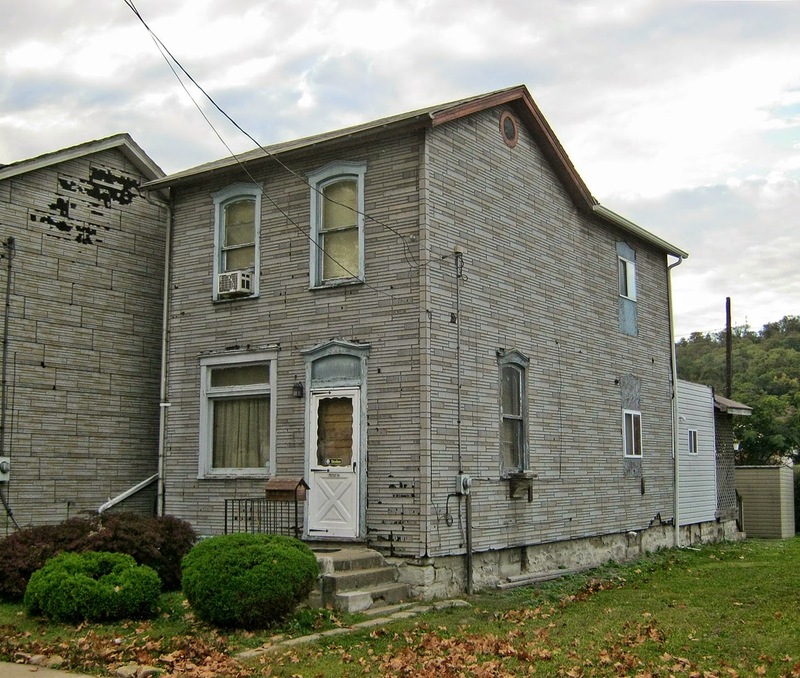 Of particular interest to me were the modest two-bay Victorians, or "mill houses," which were a vernacular style common to the Mon Valley during the 19th century. 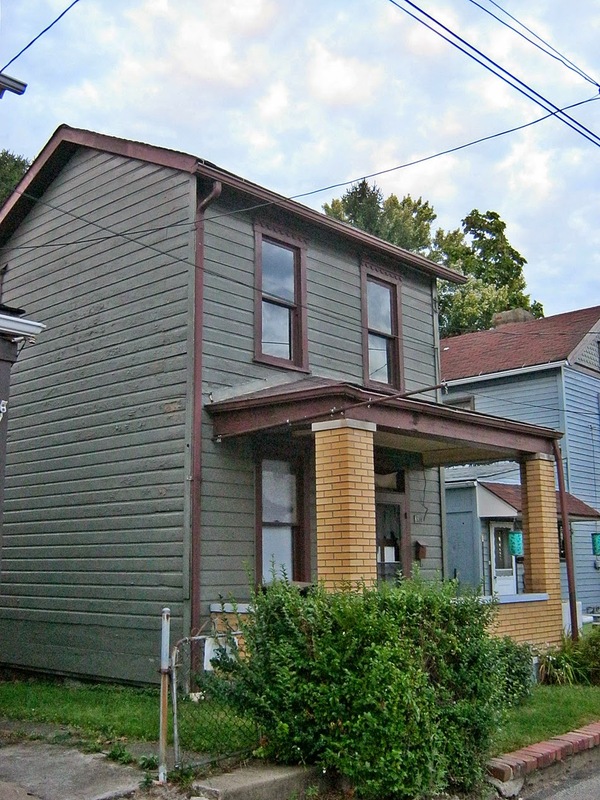 This neighborhood was once a separate borough incorporated in 1886, and known as Reynoldton. 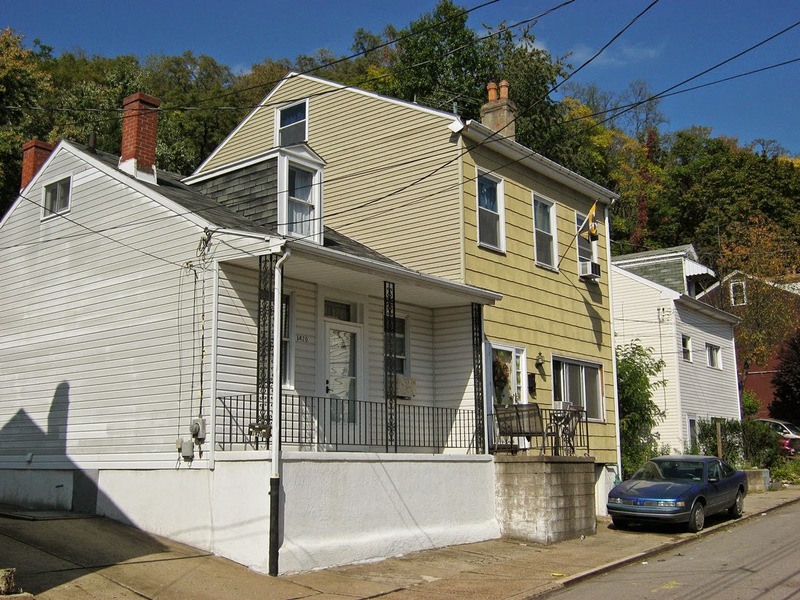 Reynoldton was annexed by the city of McKeesport in 1898, and became the 10th Ward. 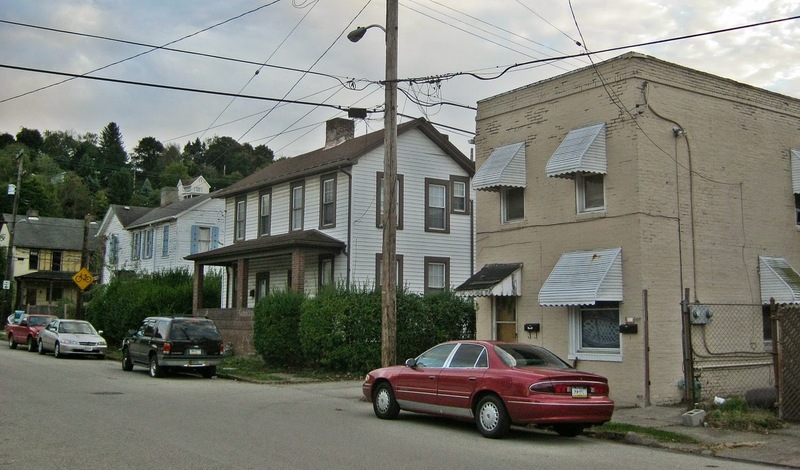 According the the History of Allegheny County, by Thomas Cushing, Reynoldton was founded and laid out by Thomas Reynolds in the 1860s. 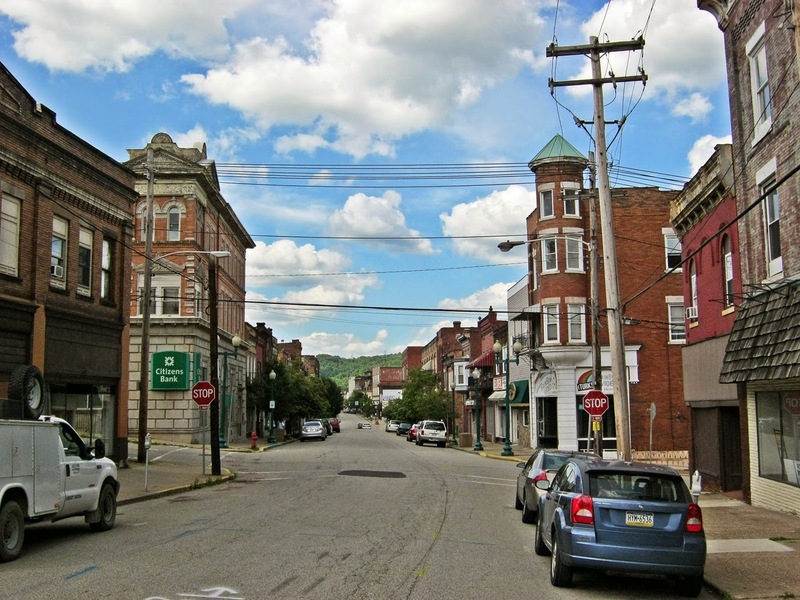 The town grew rapidly after 1883, when the Youghiogheny Suspension Bridge opened and connected the small town more efficiently with booming downtown McKeesport. 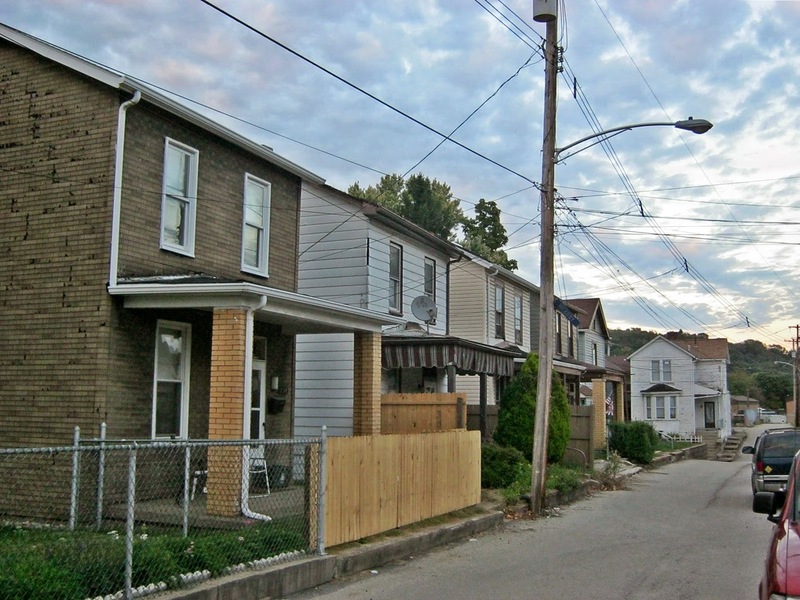 The lower 10th Ward is one of McKeesport's older surviving neighborhoods. 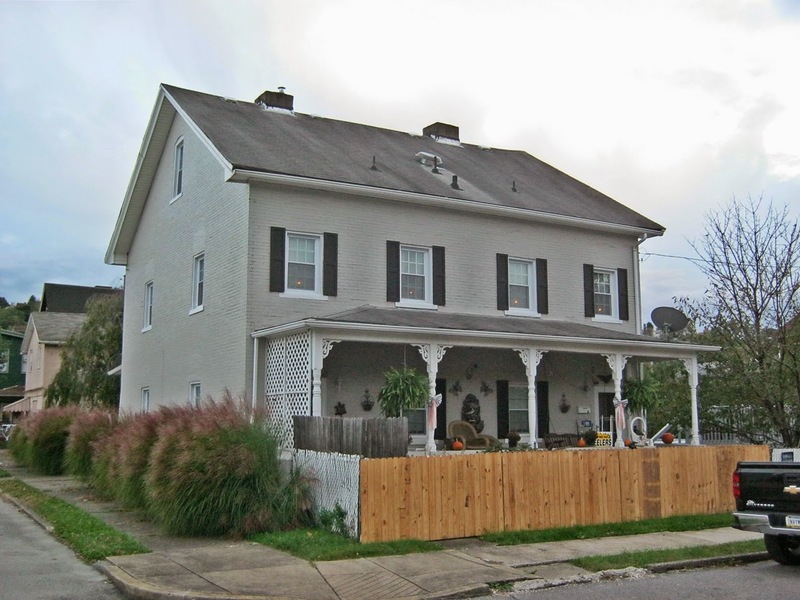 Two-bay Victorian, "Mill House" vernacular style. 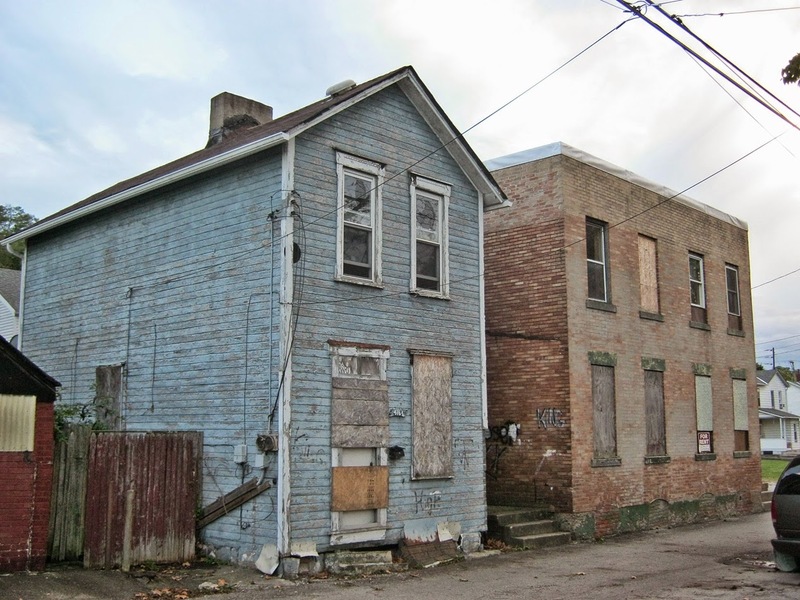 When historically or architecturally significant buildings in depressed areas are demolished, usually for parking or vacant lots intended for "future development," the excuse usually has something to do with the economic conditions of the area not being favorable to preservation. 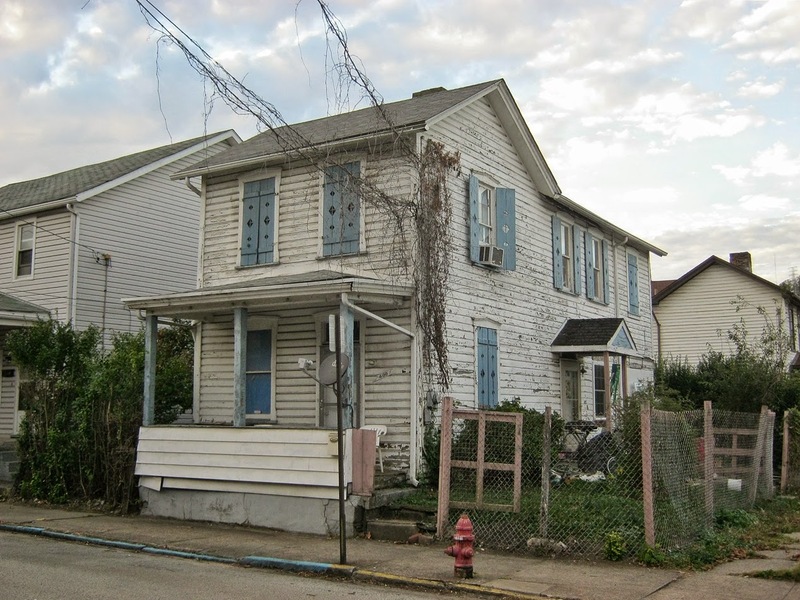 "We can't afford to save these buildings," is usually the response. 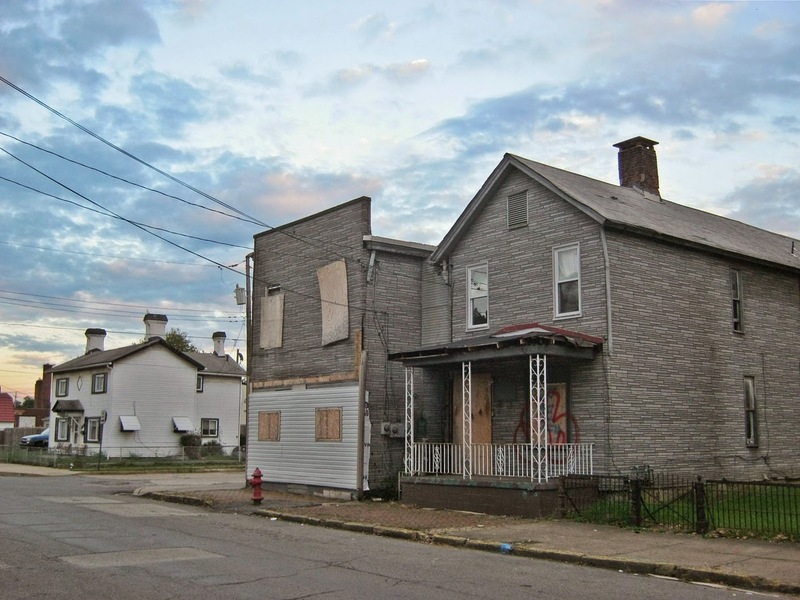 What, then, is the excuse for the demolition of human-scale buildings in National Register Historic Districts, in thriving neighborhoods where big new developments are afforded? 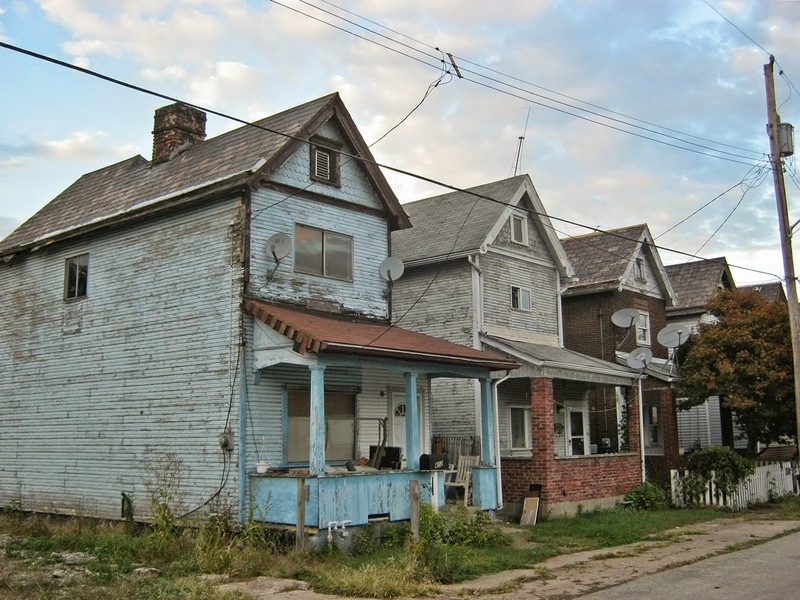 It usually has something to do with the "viability" of the older structures. More specifically, the developer wants to put in a big, modern, nondescript, glass box building. However, these big, glass, suburban-style developments run contrary to what young urbanists want. 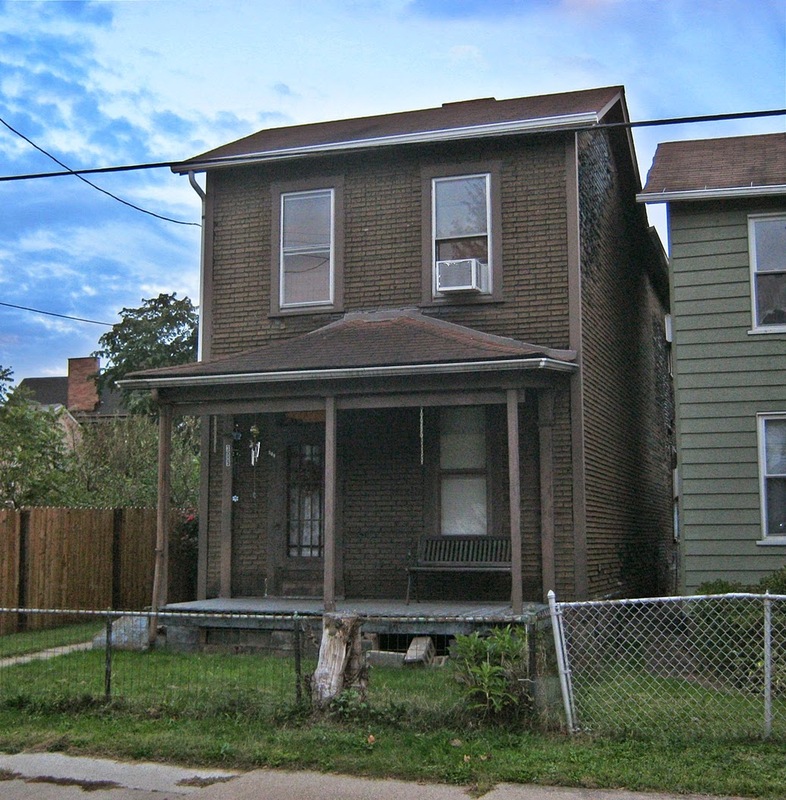 We were drawn to the older cities and neighborhoods, often from the cul-de-sac and big chain store suburban sprawl we were raised in (and against the advice of our parents), because we wanted the authenticity, history, soul, and beauty of the urban architecture and experience. Sometimes, it seems, developers are behind the times and think that what people really want is a suburban experience in the city. They misguidedly remove centuries-old urban architecture, in an effort to build the sprawl style in the city center, usually glass buildings with attached parking. 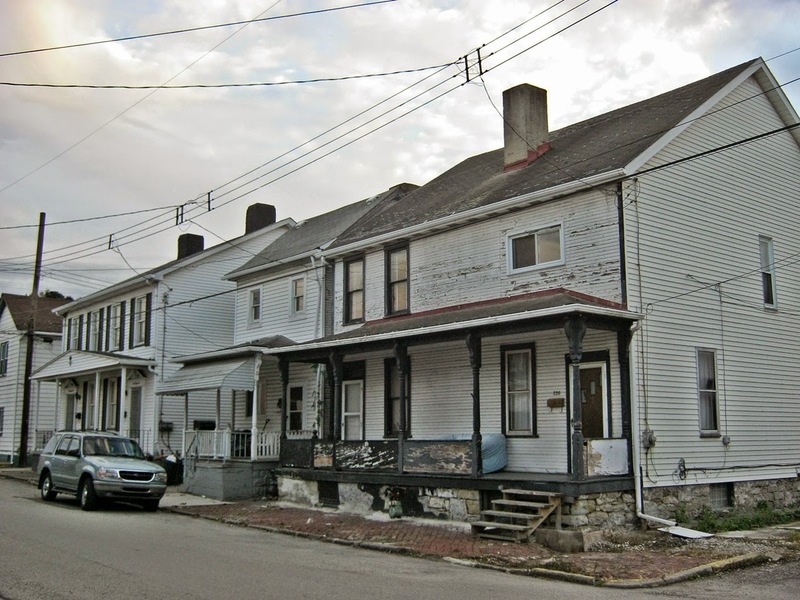 Maybe there is a place for these buildings in today's cities, but it shouldn't be at the expense of the things that made us want to live in the city to begin with. 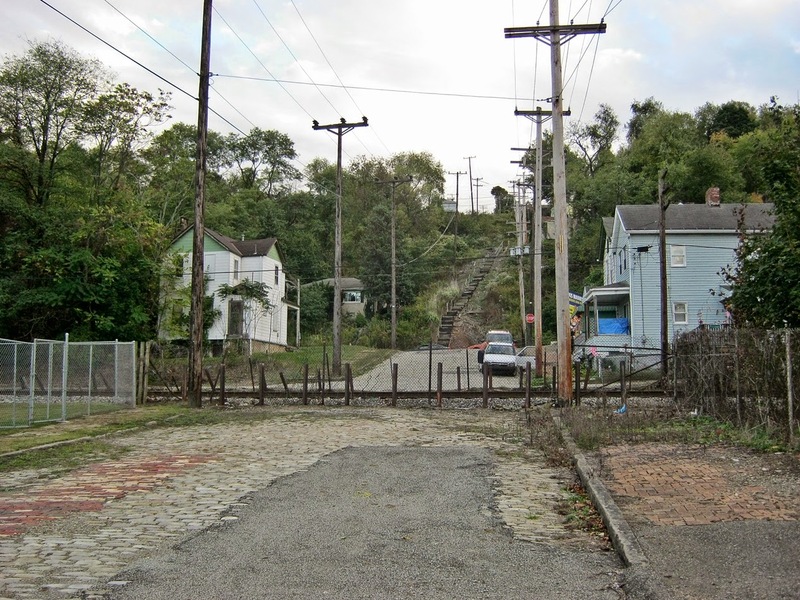 There are numerous vacant lots from when things were torn down over the past 50 years of urban decline. Build crap on those lots, instead. Threatened: 320 Forbes Avenue (downtown). Circa 1905. I guess my point is that it is condescending to think your new development is better or more viable than the old buildings. 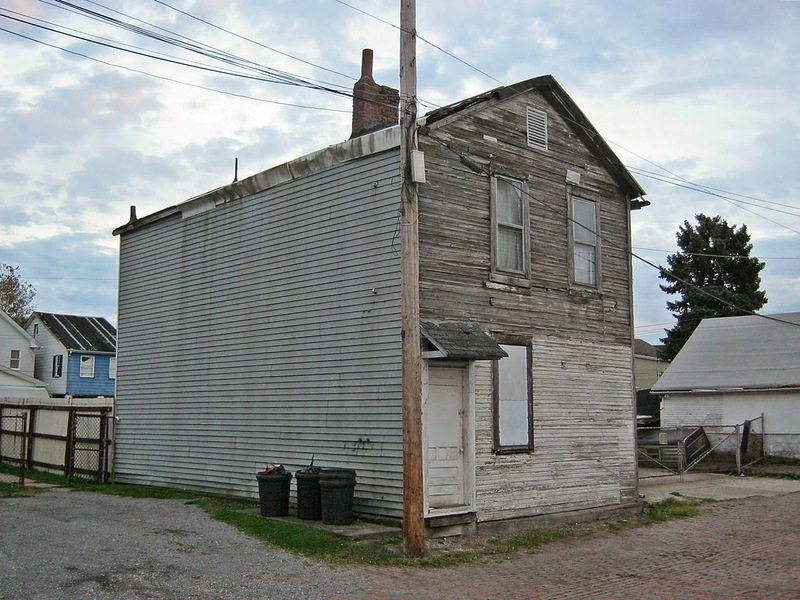 Why is a small building with a storefront not viable? The most vital neighborhoods in the city are those with antique-style business districts, and numerous small-scale buildings holding shops, boutiques, cafes, and coffee shops. I am talking about Market Square, the South Side, Lawrenceville, Bloomfield, Shadyside, and Squirrel Hill. So, tell, me again why small buildings are not viable? There is a reason I'm on this subject. 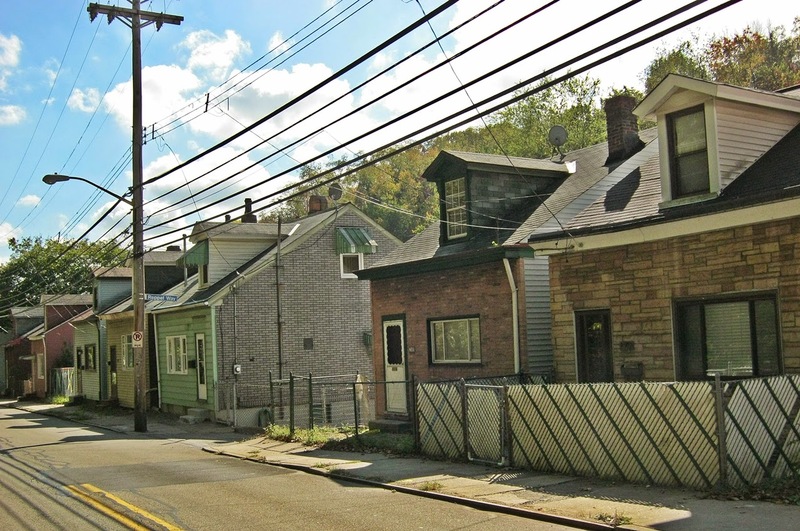 Currently, there are several small-scale historic buildings threatened in the city of Pittsburgh. 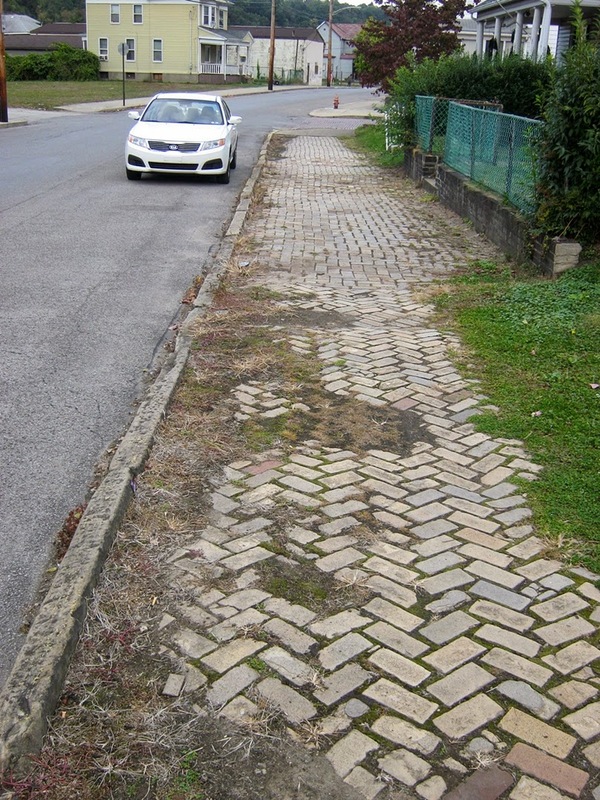 In the East Liberty Commercial Historic District, 6012-6018 Penn Avenue are threatened. 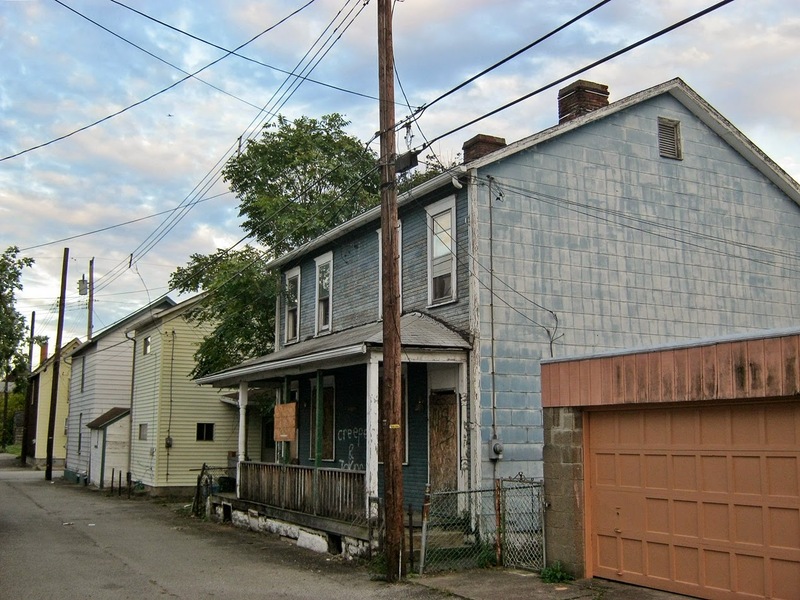 East Liberty is undergoing a major renaissance. 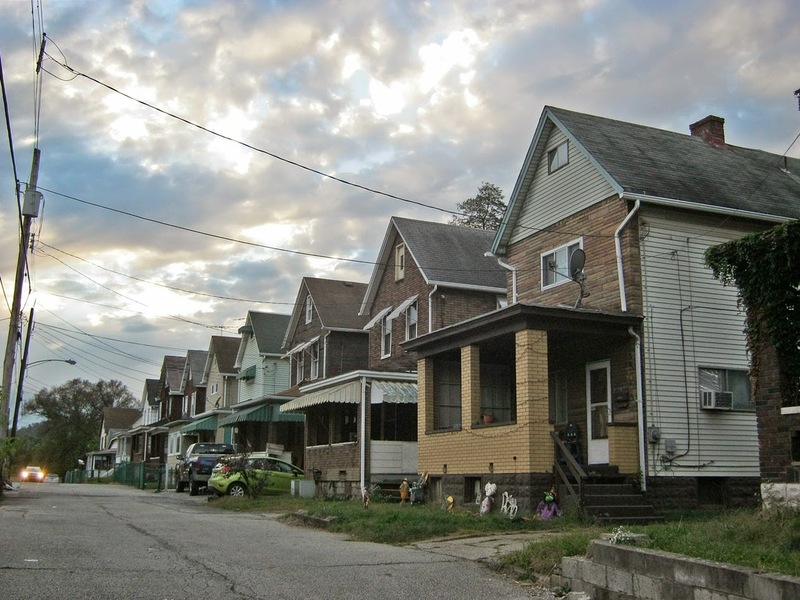 The once depressed neighborhood is now receiving major investments, with new housing, retail, and building renovations. 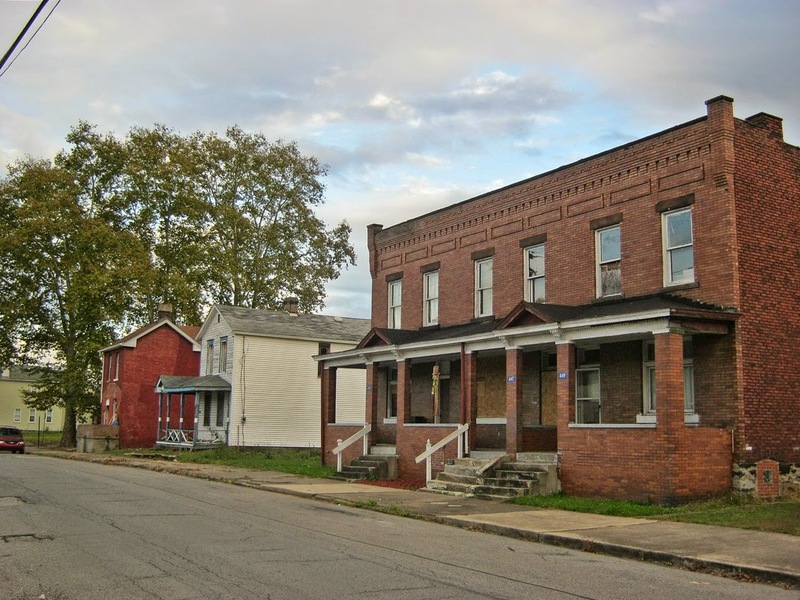 While many old buildings are being restored, some buildings are at-risk. 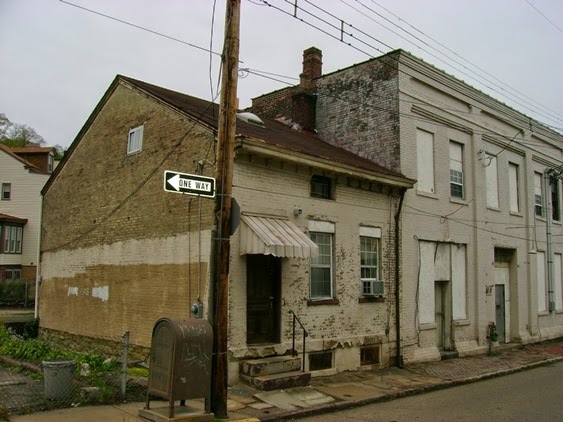 According to sources, the historic commercial structures at 6012-6018 Penn Avenue are owned by East Liberty Development, Inc., who intends to sell them to Walnut Capital, who in turn wants to raze the buildings so that "multi-story residential units" can be built on the site. 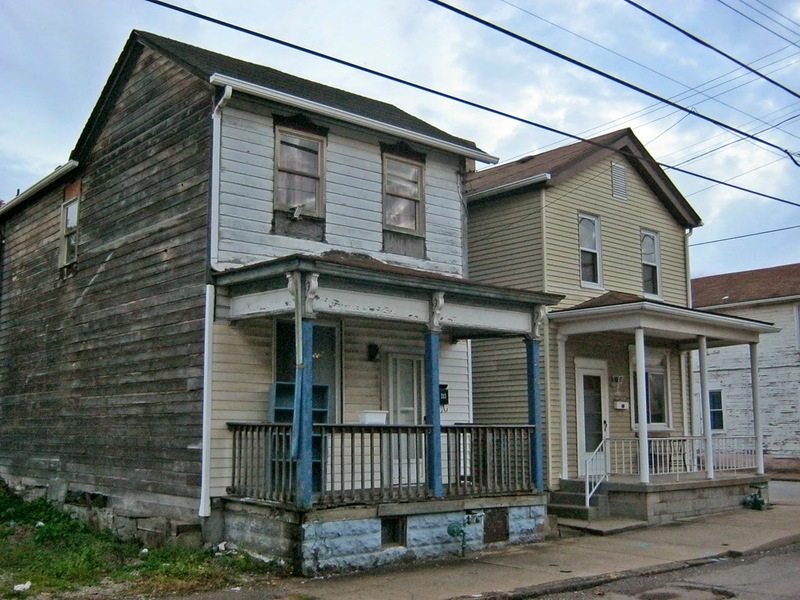 Also threatened are a strip of historic buildings in the block of Forbes Avenue between Wood St. and Smithfield St. 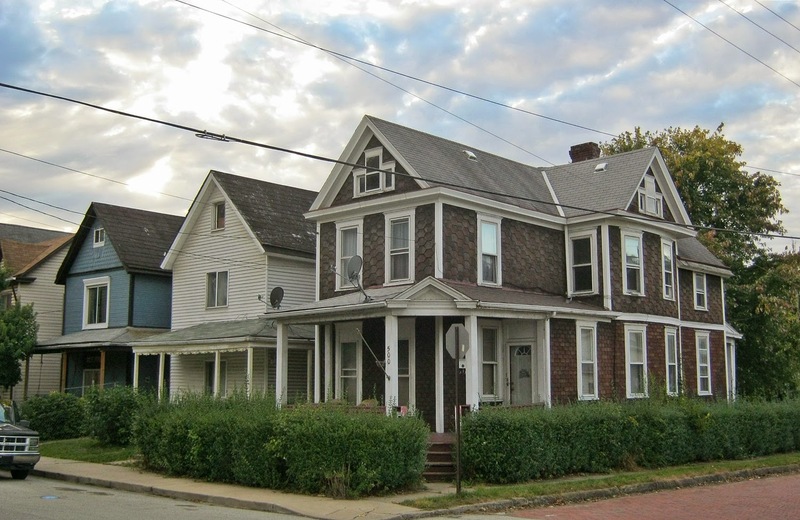 Located at 330, 328-322, and 320 Forbes Ave., these are also contributing buildings in a National Register Historic Disrict, but never mind that. 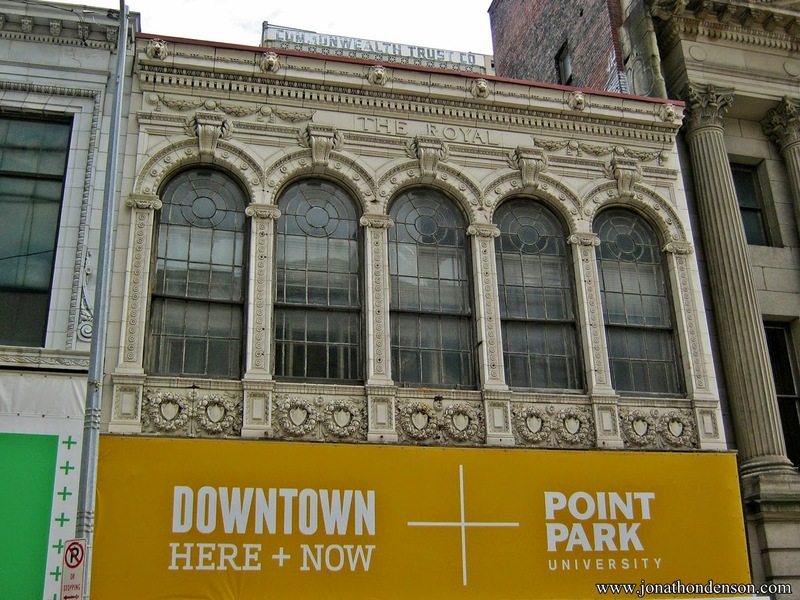 Point Park University intends to build their new Play House on the site, and raze the buildings. Read more here. 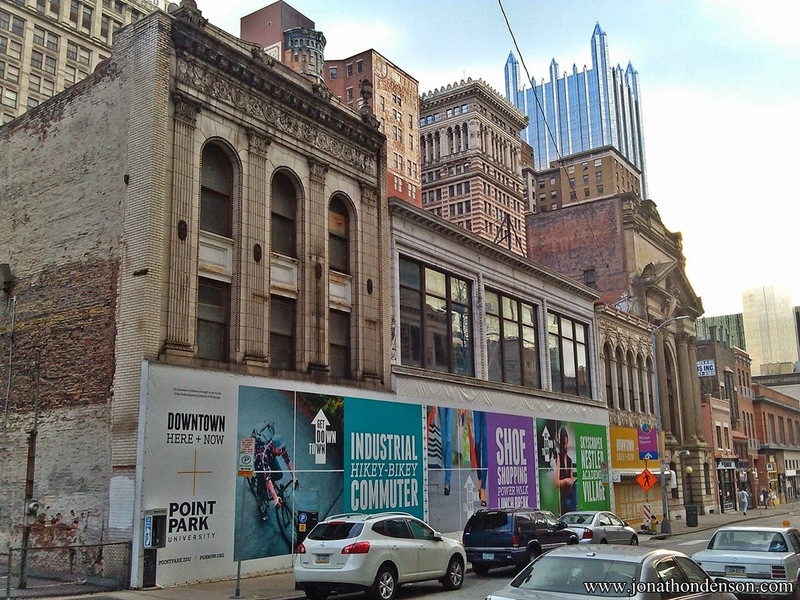 There is a movement to restore the facades of the buildings on Forbes, with Point Park's Play House to be built behind them. 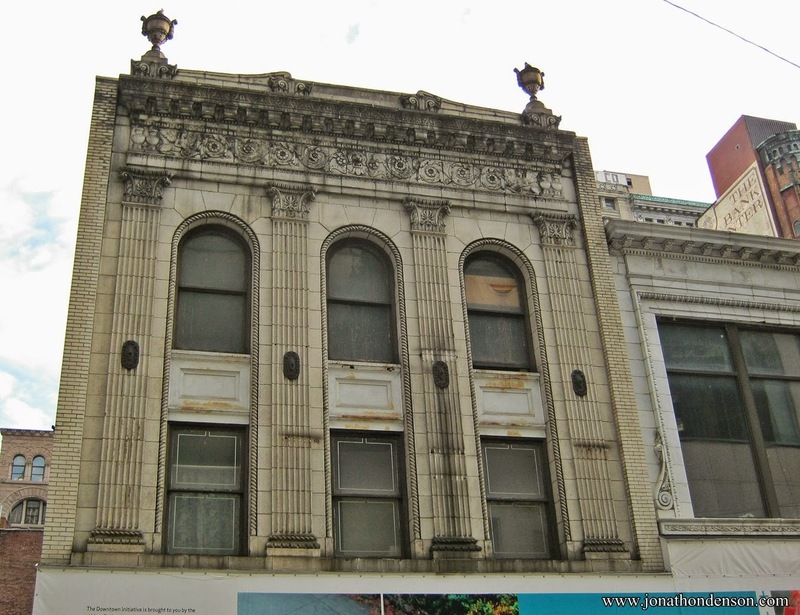 However, there is some debate among preservationists about whether saving the facades alone is indeed preservation. It seems nobody is advocating for the buildings themselves to be preserved, in spite of the fact that they are much better-looking than what is proposed to be built there, because nobody wants to be the bad guy who blocks the new development. 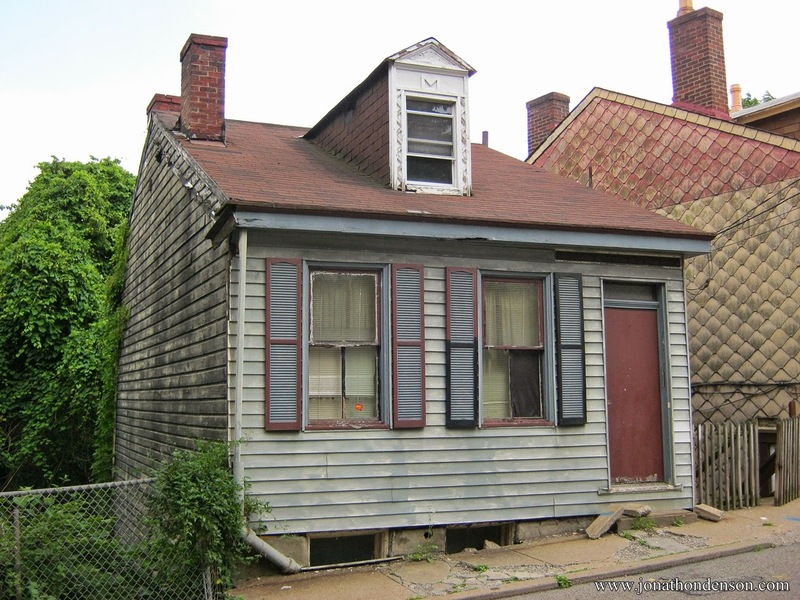 My opinion is that if we consider ourselves preservationists, we should be advocating for the re-use and preservation of historic buildings, not sitting on the sidelines while developers tear them down for new structures. At the very least, facades should be preserved. 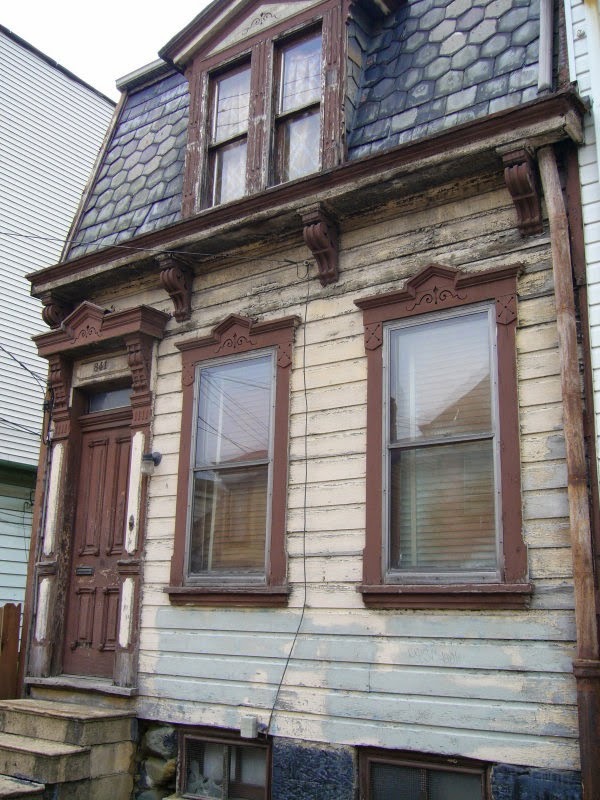 Although not every historic building can be saved, we are only preservationists if we are trying to save them. Thank you so much to Young Preservationists Association for choosing to honor me with the Michael Eversmeyer Promise Award for the work I do on my blog. I'm thrilled to have this recognition, and hopefully it means that more people will see the historic buildings and places that I advocate for. 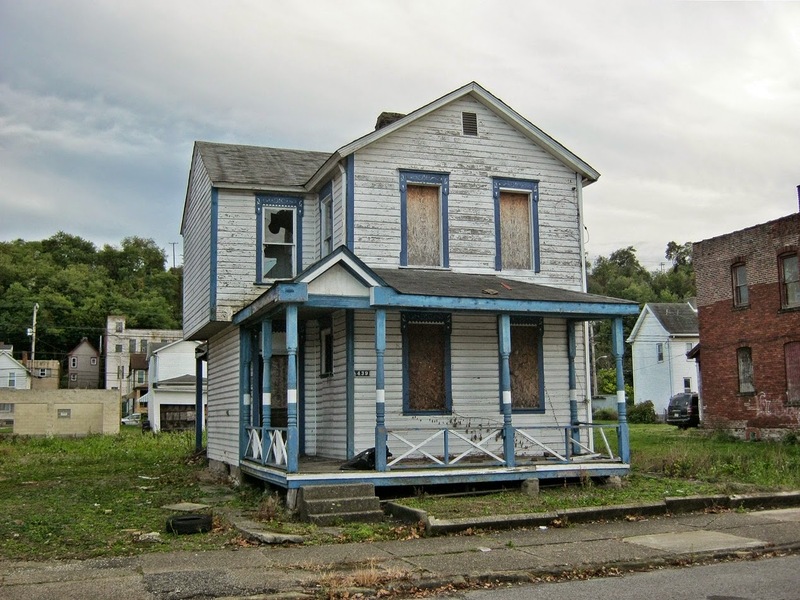 My goal was always to bring attention to the historic places and the buildings that other people did not think were worth preserving, or did not know about, and I hope I have done that. 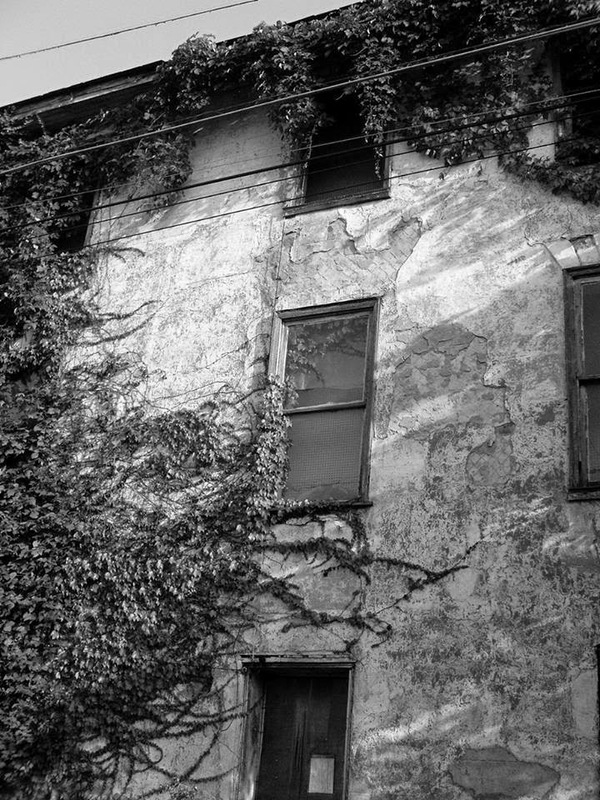 So many of our endangered buildings are in depressed, but beautiful and historic, neighborhoods and old river towns. I hope I have inspired people to live and restore buildings in some of these places, as I have tried to do this myself, and I've tried to lead by example. 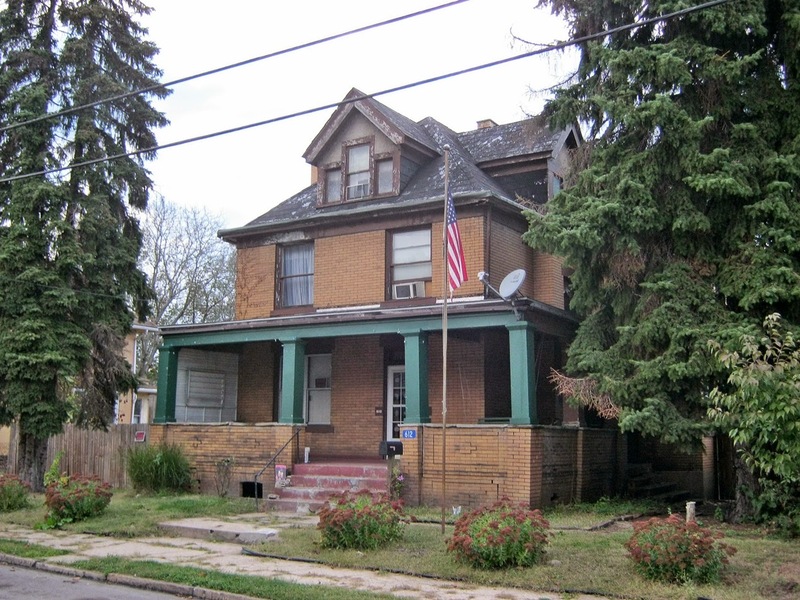 Here is a rare opportunity to own and restore one of the last great Victorians on McKeesport's "Millionaire's Row" - 610 Shaw Avenue. 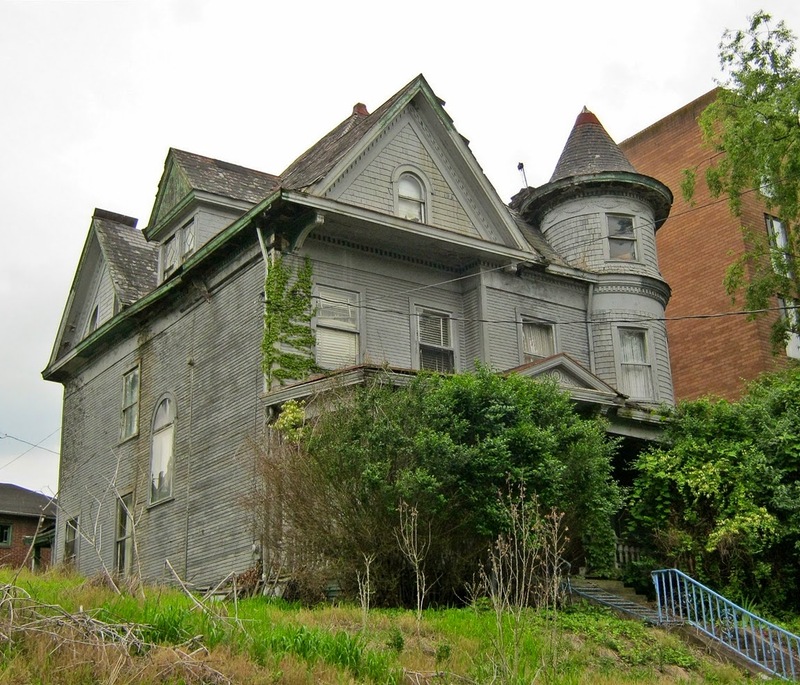 It is an intact and complete Gilded Age beauty, in need of restoration. 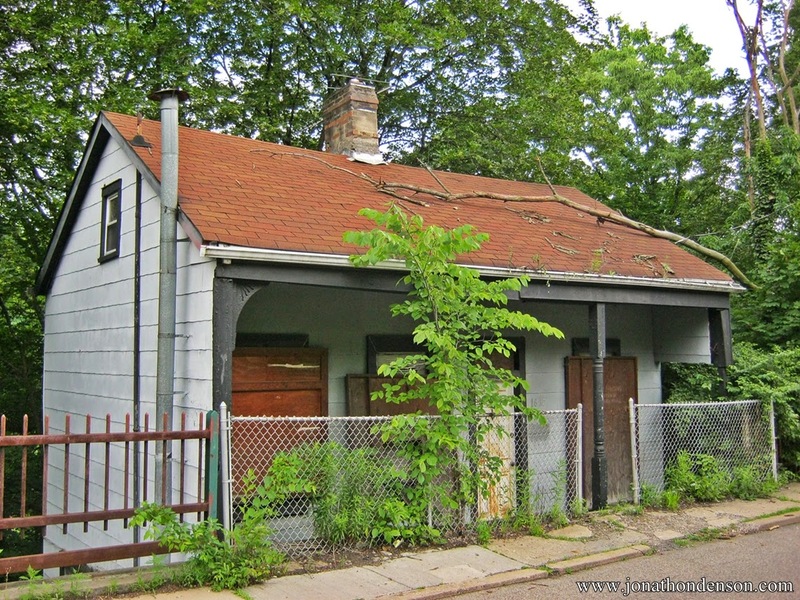 I can put you in contact with the owner if you are serious about preserving the house. I am not a real estate agent - I am doing this merely to save the house. 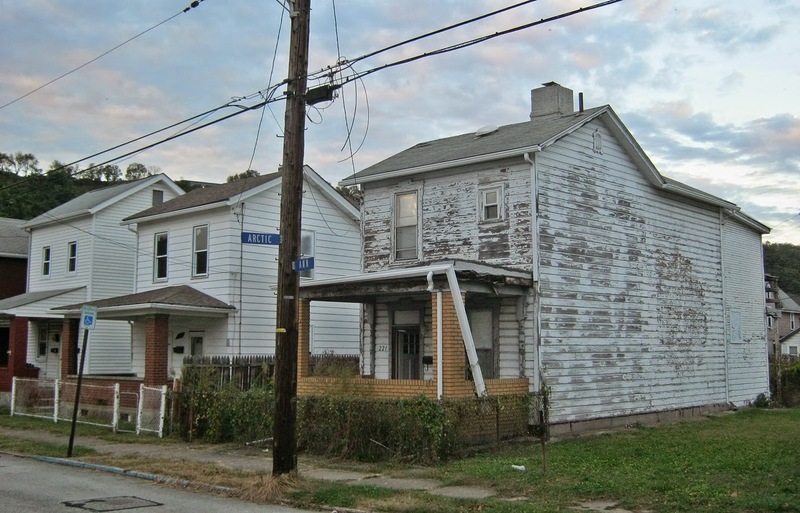 Too often, historic preservation and building re-use and renovation is not part of the discussion when cities address the issues of "blight" and abandonment. 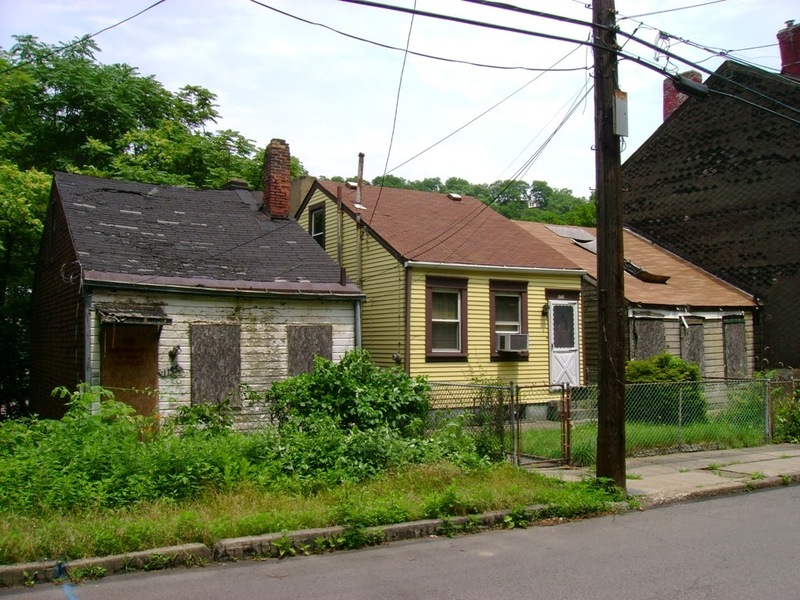 Progressive cities and urbanists know that demolition alone causes vacant lots in urban neighborhoods, which itself is a blight, and a loss to the cohesive fabric of a community. Here is a balanced article which discusses the ever important issue of saving what can be saved. 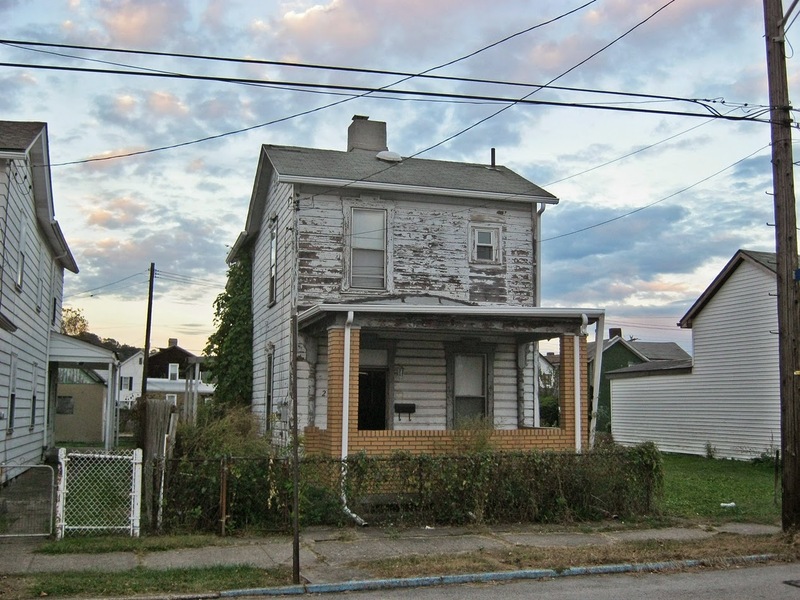 Because once it's gone..
A vacant house in Brownsville, circa 2011 (now demolished). 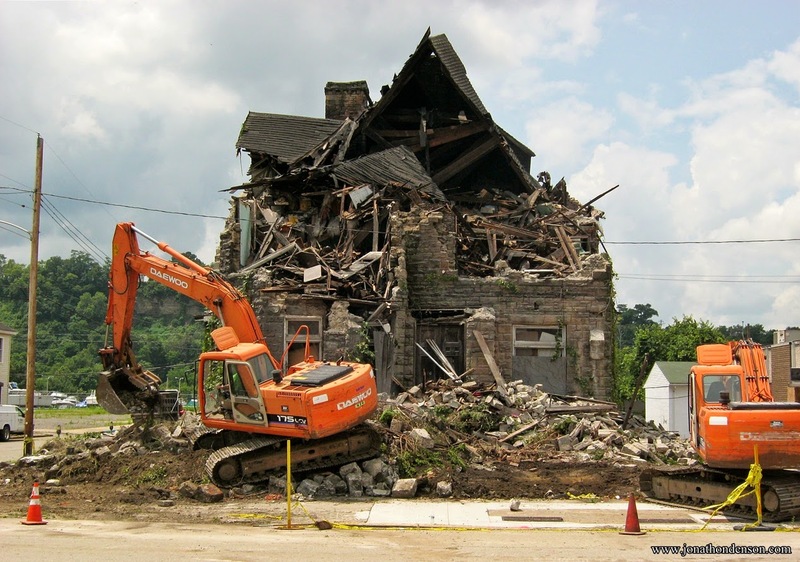 When buildings are deemed disposable, like so much of what we have today, they are not regarded for their historical interest or architectural value. We are living in a culture where things are created to be meaningless and valueless, aside from their intended use. It is hard to imagine a time when things were made to be beautiful, when things were meant to endure and be maintained rather than being disposed of when repairs were called for. 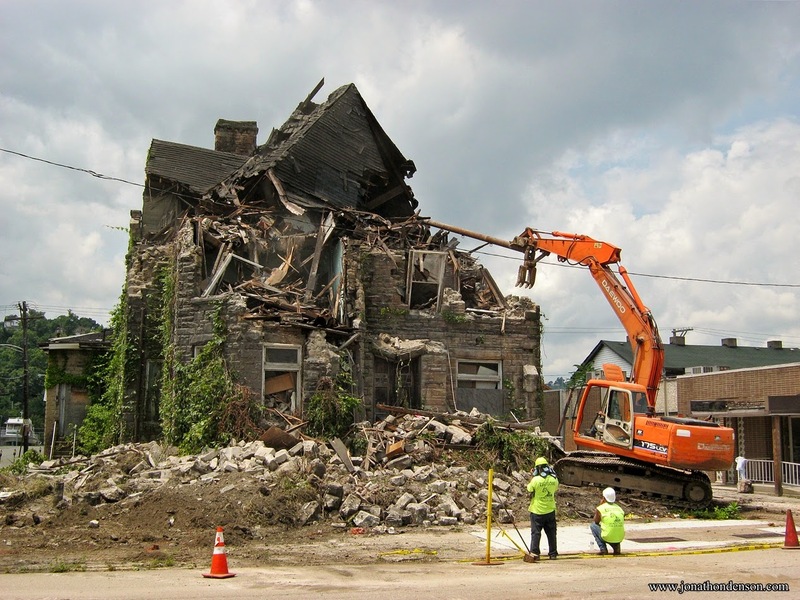 When buildings are demolished, the message is that these places are not worth repairing, and that the town itself, and the history of it, is just as disposable as that one building. 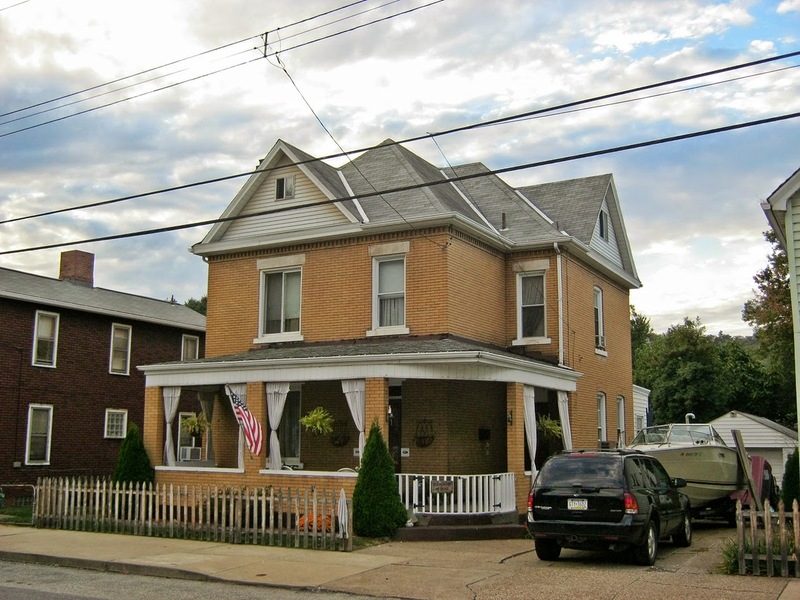 The Hitzrot House was built in 1892 for Dr. Henry Hitzrot, and stood at 626 Market Street in McKeesport, Pennsylvania. 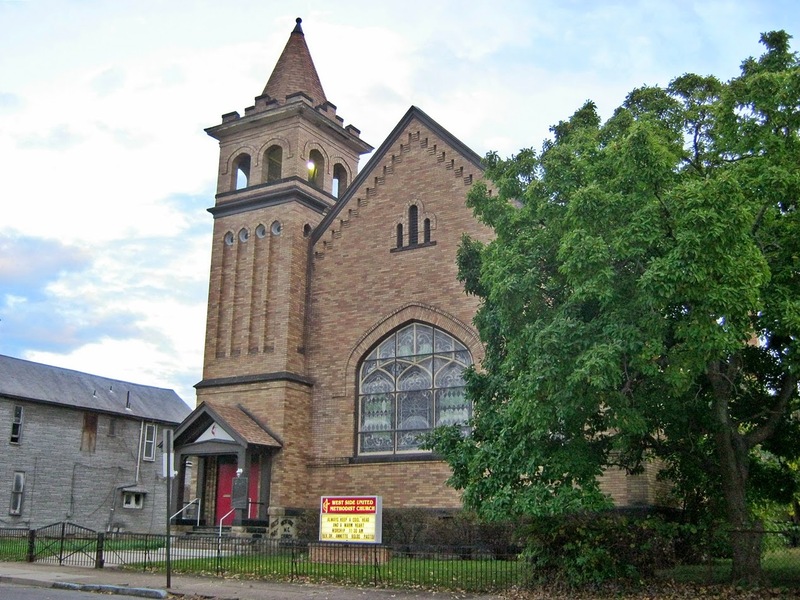 It was designed by noted Pittsburgh architect Frederick Sauer. It later became the local Eagles Club. The building was demolished by the city on July 21, 2014. 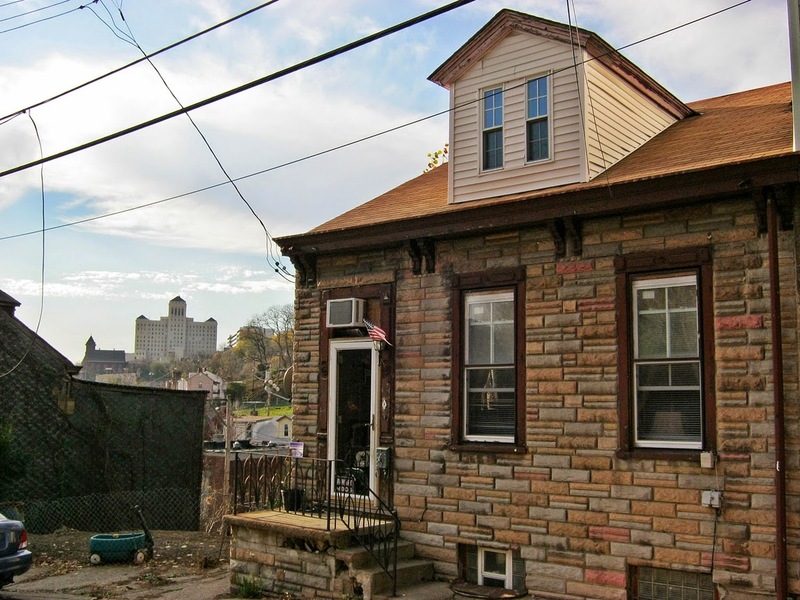 It was the second significant historic building lost in McKeesport during the month of July, the other being the McKeesport Water Filtration Roundhouse. 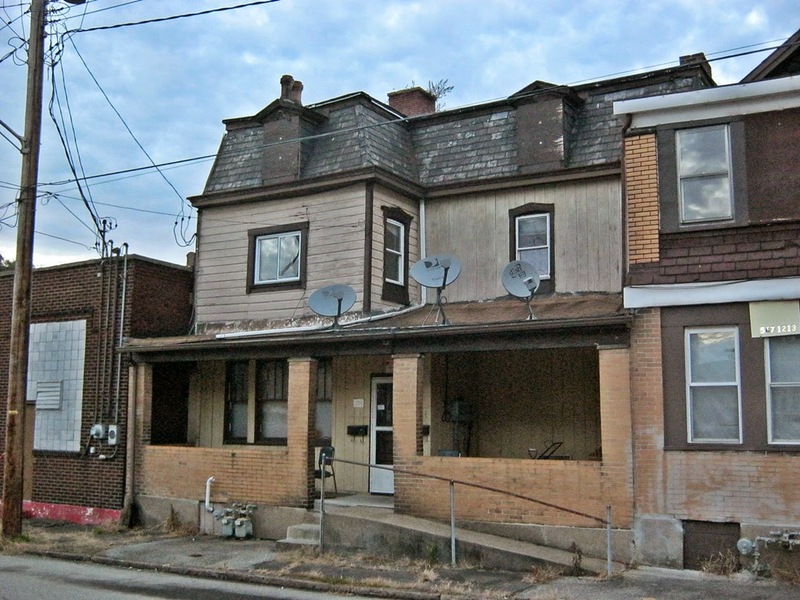 No effort was made to salvage the old house parts or the antiques inside the Hitzrot House. 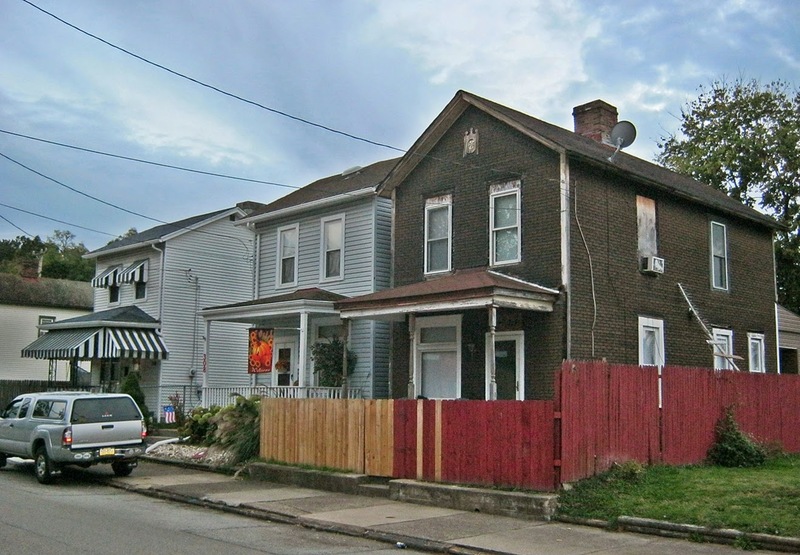 Sadly, the city of McKeesport shows no interest in historic preservation matters. 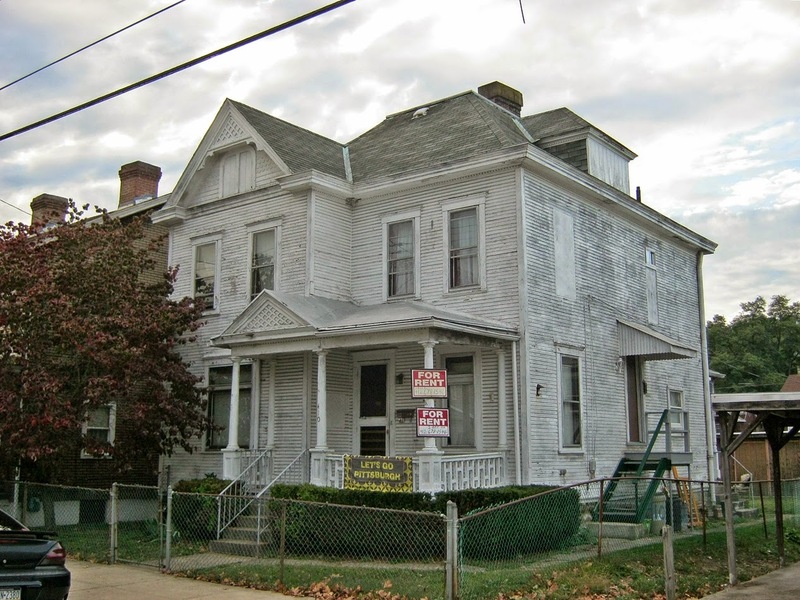 The building could have been stabilized and mothballed for less than the cost of demolition. 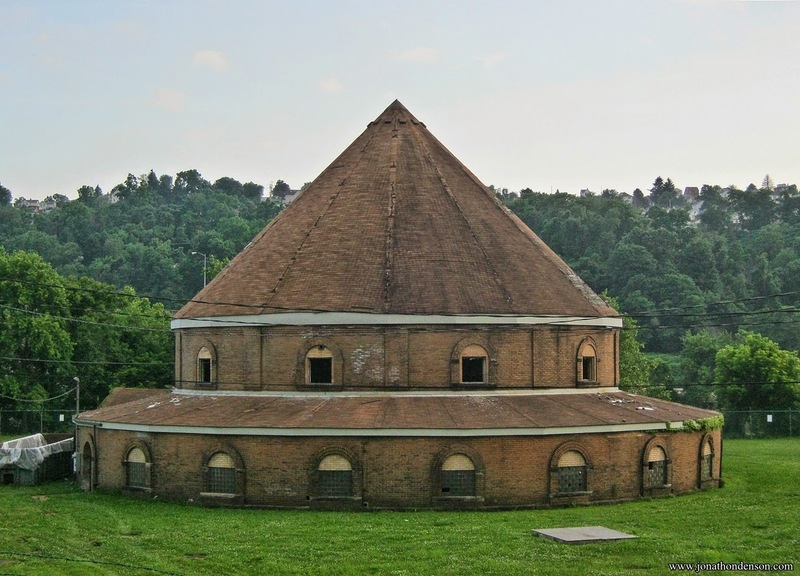 The water filtration roundhouse was built in 1908 in McKeesport, and is currently owned by the Municipal Authority of Westmoreland County (MAWC). 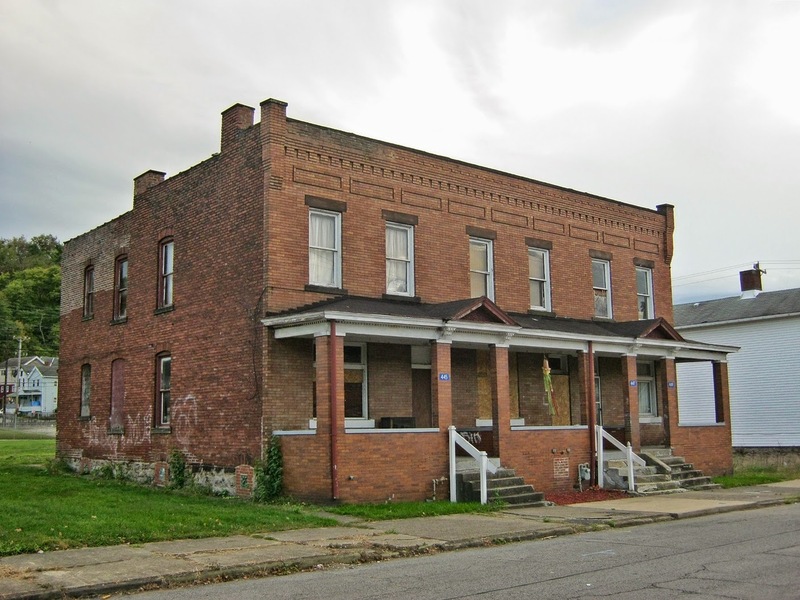 MAWC seeks to demolish this historic building for a storage shed. The roundhouse sits on a parcel of land adjacent to the Great Allegheny Passage bike trail. This means there are numerous possible adaptive reuse options for this building. Please make your voice heard and write, email, or call MAWC and tell them that the roundhouse should be preserved. Here is the contact information for MAWC. They are also on Facebook and Twitter. 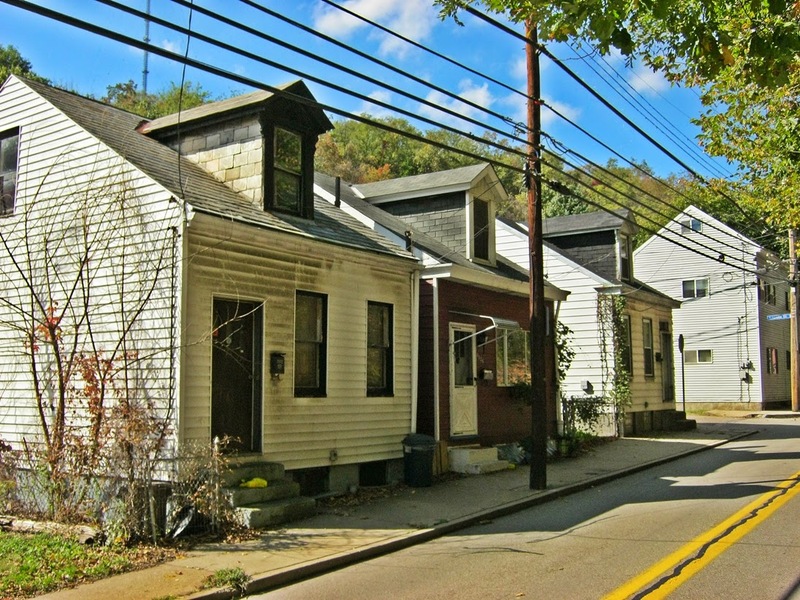 Pittsburgh Vernacular: The "Victorian Cottage"
The concept of micro-housing, or tiny houses, is gaining in popularity. This is not really a new idea, though. 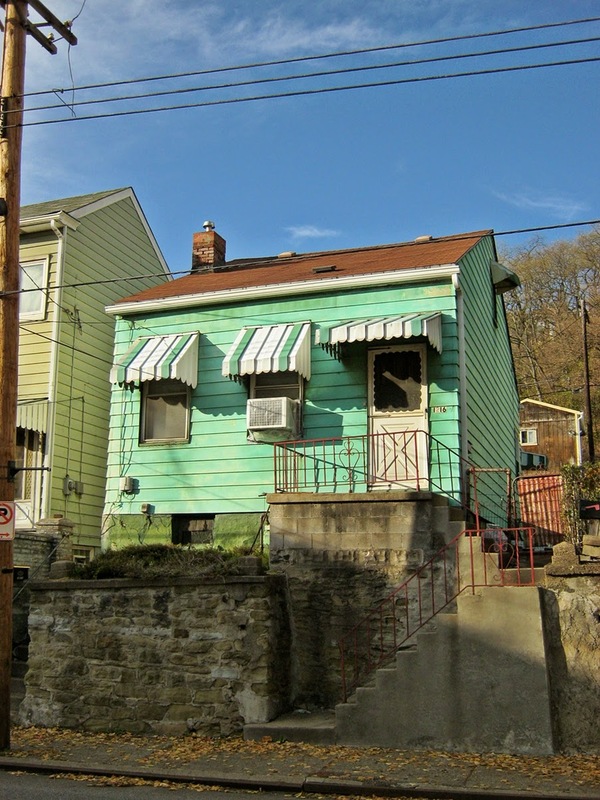 In the past, small houses were built for the working class and were very commonplace. 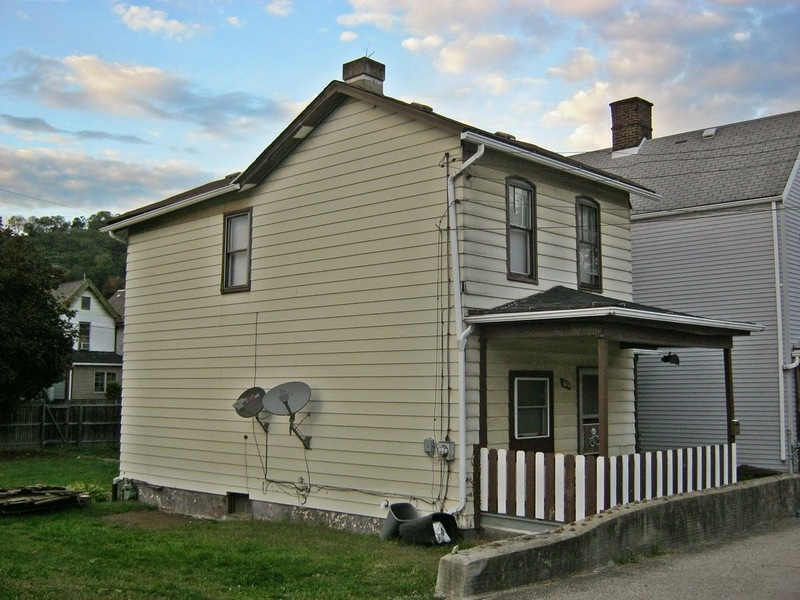 However, over the last several decades, small houses were unfortunately thought of as less desirable than large, suburban houses, and many were demolished. 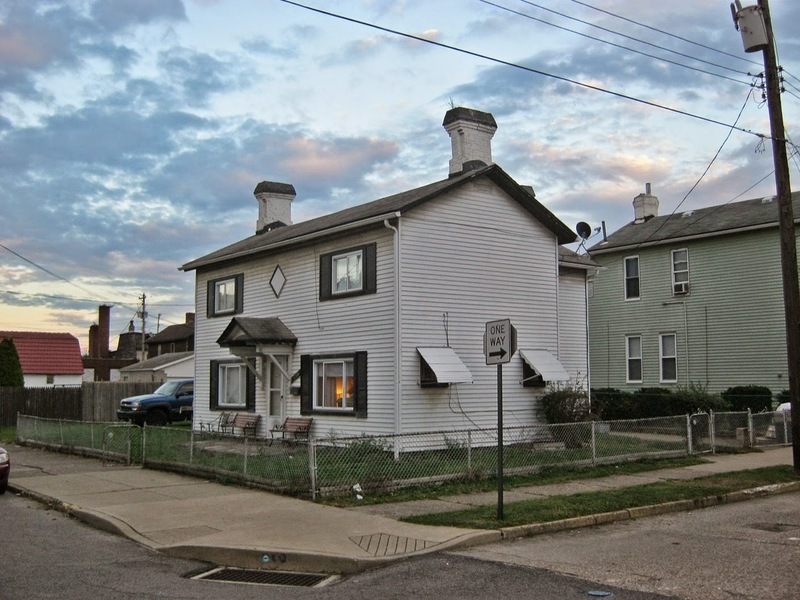 We can preserve the tiny historic homes in our region and contribute to the micro-housing movement, while also "being green" by re-using existing structures. 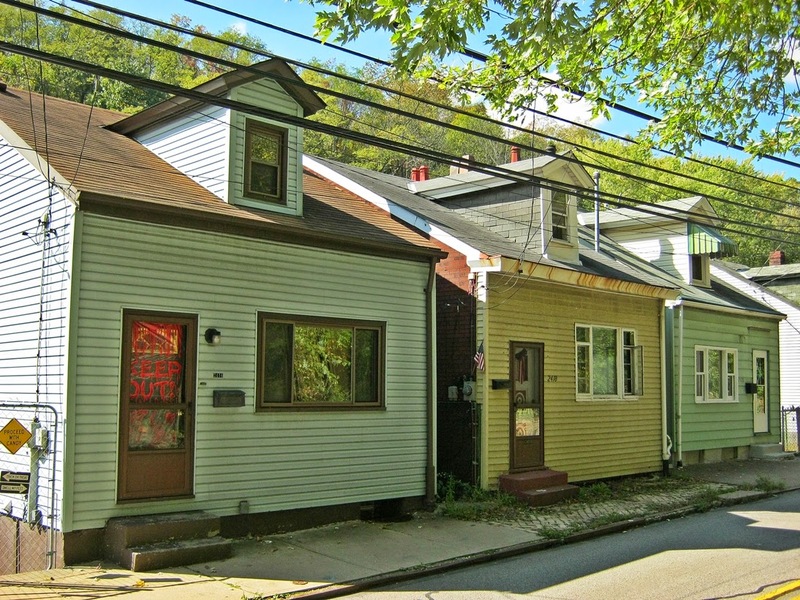 These tiny houses represent Pittsburgh vernacular architecture. 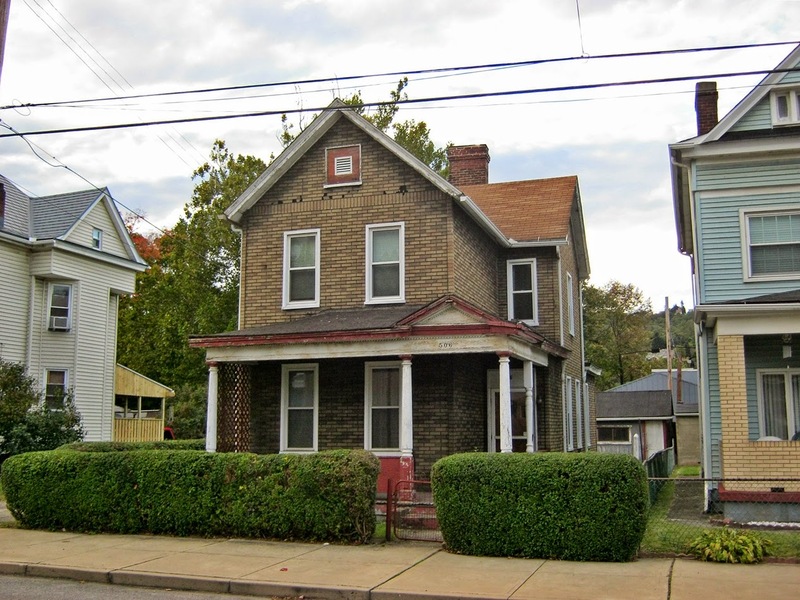 The one-story Victorian cottage with dormer was once very common on Pittsburgh's North Side and some of the southern hill-top neighborhoods. These homes were often built on the sides of hills. 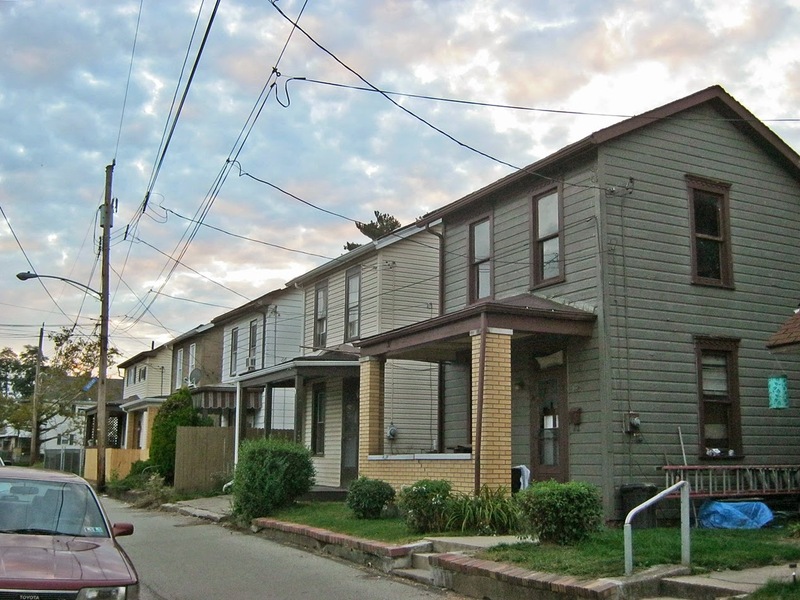 I believe this style of architecture is fairly unique to Pittsburgh. 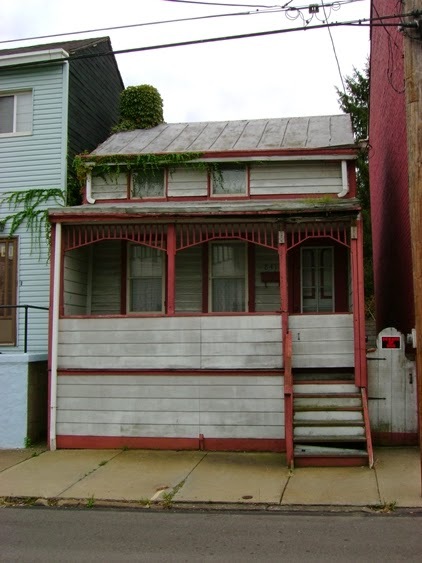 841 Suismon (now demolished) - an example of a Victorian cottage with mansard roof. 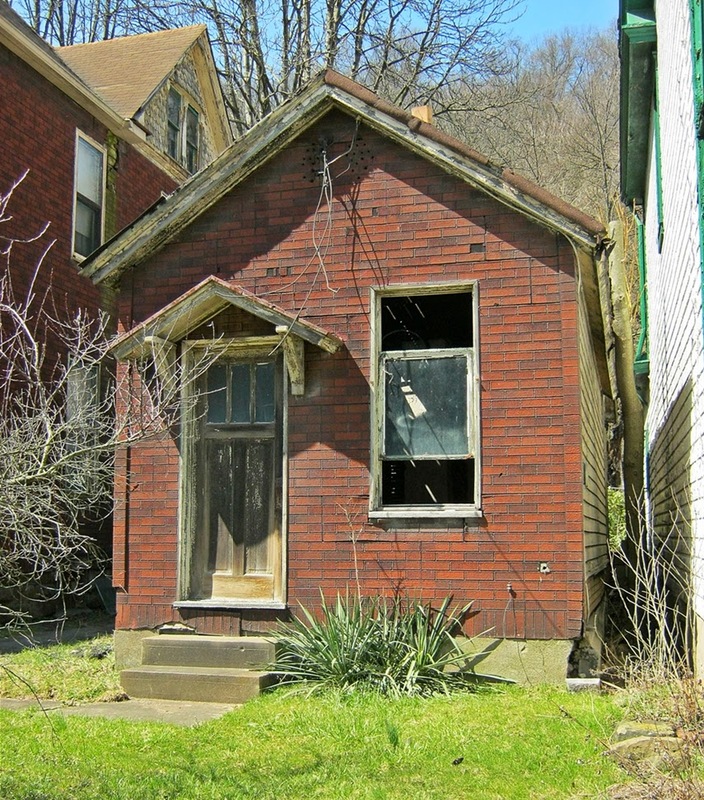 An example of a Victorian cottage built into the side of a hill on Walz Street (now demolished). 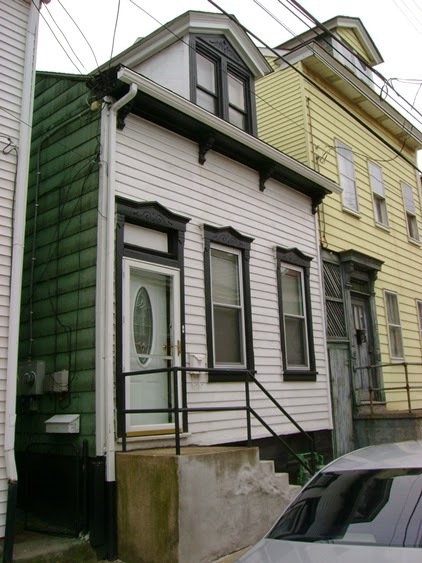 Victorian cottage with dormer, built on the side of a hill on Walz Street (now demolished). 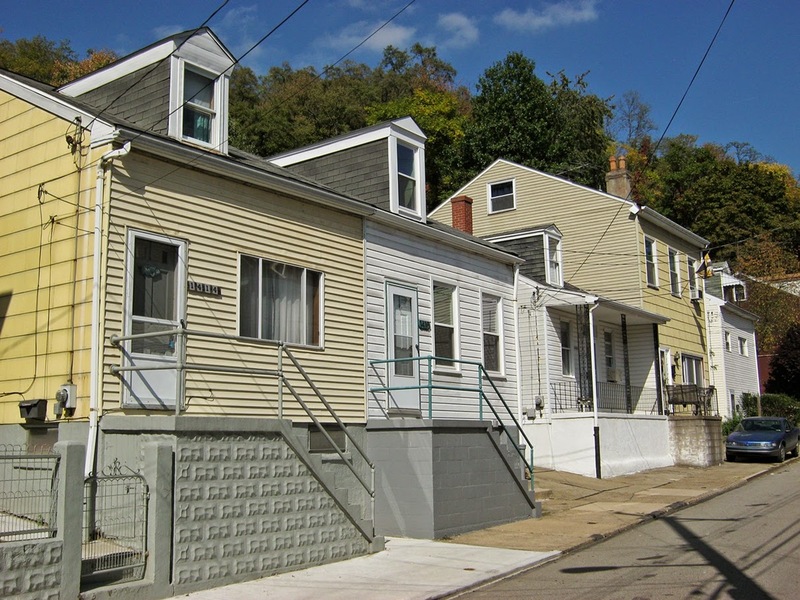 Victorian cottages on Voskamp Street. Only the center cottage survives. 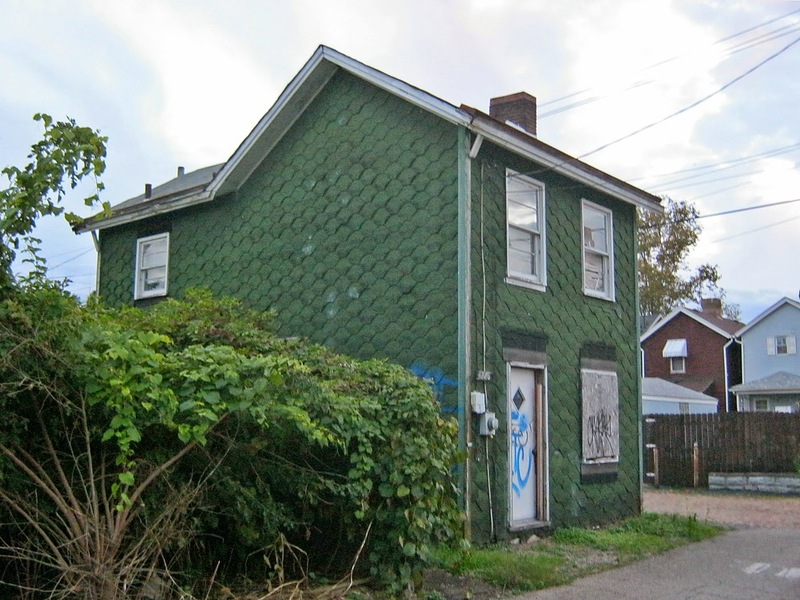 An example of a brick Victorian cottage in East Deutschtown. The center door is unique. Spring Garden.